Yesterday evening I amongst the rest of the Nation watched in awe to hear the tragic news of Oscar Award Winning Actor & Comendian Robin Williams. I sat on my deflated tan brown couch in my bare living room when I heard the news of his death. My jaw dropped and pupils grew about an inch wider when I read the words “death ruled an apparent suicide”. I turned my focus on the word “suicide”. BAM! There goes my best friend and worst enemy again taking the life of another precious, comical life of a beloved human being: suicide. Now, majority of you know my stance on suicide and why I tend to perk up when I hear or read about it. If not, I encourage you to read my post on Suicide: Why is it so important to me? Now, the year 2014 for me personally has been one of the worst years of my entire life. Harsh to say? Yes, but I am only speaking the truth. Suicide has been the reason why this year has not been my year from the day I rang in the New Year. Of course with any bad comes some good right? Let me map out the events that have occurred so far for me in the year 2014. February 2014: I turned the luxurious 21. -Good/Best/Fantastic Day of my life and of the year. March 2014: My best friend of nearly 10 years suicides March 26th. – Worst/Terrible/Dreadful/Shocking Day of my life and of the year. April 2014: Admitted to my 2nd psychiatric hospitalization (22 days) [1st one of the year] due to suicidal threats – Again Terrible Day of my life and of the year; Once discharged Best Day of my life. May 2014: Attempts suicide/stopped breathing for ~30 seconds could not breathe stably on my own. Enters 3rd hospitalization (30 days) [2nd one of the year]- This overall was the most Tragic Day of my life and of the year. Now of course, I am sure there are some of you out there who views this and thinks, “What in the world is this girl talking about “bad days” I’ve had far more “worst days” than she has described”. And yes I can agree with you; I am not here to exaggerate and throw myself a pity party. No! I wanted to illustrate that nobody’s life or year is a perfect one. A perfect anything is just impossible. Things happen unexpectedly and may throw us off our conscious path, but we must lean on the shoulders of others during those difficult times, seek help, take care of ourselves in order to get back on that conscious path. According to AFSP, American Foundation for Suicide and Prevention, 39,518 suicides in the United States were reported in 2011, in that year alone. So let’s think about. We are more than half way through the year 2014, my estimation is that there are approximately 20,000+ suicides so far. Suicide is the 10th leading cause of death in Americans and I can only imagine its rank in other countries, I am sure, I know it is high in ranking too. Here’s where my heart stops and I grow angry: When people question, “Why in the Hell did ____________ commit suicide?” I know we all want answers I too want to know why my best friend did what she did but we will never know; the only person who knows why he/or she did what they did is the person at hand. But, once you start to peel back the layers there is usually ~90% of the time a mental illness connection to the suicide; And this will give you a small yet big answer as to why he/or she suicide. My best friend suffered from Bipolar Type I Disorder, I knew she did and this explained a lot to me why she may have suicide. I have Major Depressive Disorder (formally known as clinical depression) and Borderline Personality Disorder, this explains why I’ve attempted suicide four times in my life. Robin Williams, too suffered from severe clinical depression and yesterday morning he made the decision to suicide. In addition, the phrase, “commit suicide” highly irks my soul. It’s as if the person is a criminal and should be arrested for a criminal act; when in reality they cannot be arrested or serve jail time, why? Because they are dead! Suicide is not a criminal act and should not be labeled as so. This is my opinion and belief and you may agree or disagree with me and I respect your opinion/belief. But I really want to educate others on mental health terminology, its stigma, and how society tends to “dress up” or portray suicide. Of course, this will be a talk and blog post for another day. When a person chooses suicide, it’s hard to accept that choice but it is their choice. For me personally 2014 is the year of the suicide plague and each day I ponder “am I next? Is today my day to let go?” No one will ever fully understand what, how, and why I or someone would choose to do such a terrible act and sometimes I just have to say to that person, “You won’t and will not understand unless you are in my shoes to feel the intense emotions I feel day to day about myself and my life.” I am not here to say the cliche “life is a precious gift be thankful and live it day to day blah blah blah blah” NO! Wake up people! Depression is REAL! Bipolar is REAL! Voices are REAL! Schizophrenia is REAL! Mental illness is REAL! Chemical imbalances are REAL! Chronic mental disorders are REAL! SUICIDE is REAL!!! You never knows what goes on in a depressed, a mentally ill persons head. Never assume you know because you just might set off their triggers and push them over the edge. Know someone suffering with depression but unfamiliar with the signs of depression? Get to know the warning signs of depression and other mental illnesses that can lead to suicide. Become one with the warning signs, get acquainted with them in order to connect with your loved ones on a better level. I’ve provided a brief synopsis noting the risk factors and warning signs for suicide. More information and credit is given to the American Foundation for Suicide and Prevention. Please take what they are saying or feeling very very seriously and provide them with the necessary help immediately. Make sure they are in a safe environment and do not let them be alone in that moment. Ask questions. Be sure to not force the questions out of them you may set off serious triggers for them in doing so. Take Action. Make sure they are in a safe environment and do not let them be alone in that moment. Call your emergency number, take them to an emergency hospital center, or psychiatric hospital. The person needs to be in safe place and sometimes “home” may not be the safest place for the person. Follow Up on their treatment. Make sure they are taking prescribed medications, support their decision to take the medications and see a therapist/psychiatrist. Let them know it is going to take time to heal and recover. The world seems much more brighter and “worth living” when you surround yourself with the right group of people who understand your mental illness, support your decisions, and can be there for you at any given time. Forget the bad days and the road bumps, life stretches beyond a mile when you have a stupendous support group of people who check in on you daily without your constant reminder and show up at your front door with your favorites to erase the blues. I am so thankful to have the support group of people I have today. I do not think I would have come this far in my recovery if they were not there by my side. If you are out there alone, without a support person to lean on or go to during your episodes, please reach out to me. I would love to be a support person to you and be in contact with you to help you through your journey and recovery. You can email me at phoenixtherebirth042013@gmail.com. The next time someone tells you to “snap out of depression” , “you are faking it” and “get out of that manic episode” tell them to run 10 miles to embrace the pain we feel in a matter of seconds and minutes. Know you are not alone. Know your mental illness is not your fault. Know that there is help. Know that what you are feeling and experiencing is real. Please remember to take good care of yourself. Sending you all positive vibes and everlasting rays of sunshine. If this post has triggered any old habits or emotions please reach out to someone, call your local emergency room, or contact the Suicide Hotline Number 1-800-273-8255. 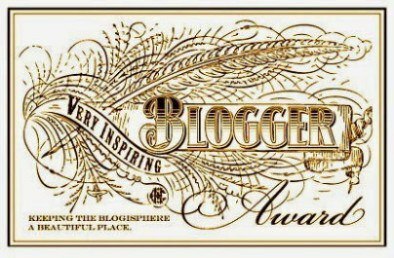 Previous PostHappiness at My Funeral.Next PostThe Beautiful Blogger Award! Can I just say that regardless of whether or not you get accepted into university, is not measure of your success, or value as a person. I have a question and it might be very, very stupid. But it’s something I have been wondering for a while now. Even if I cannot relate (for I have not ever been in the situation), I accept that there are people who feel they don’t want to live anymore. They feel it strongly. So if I insist on helping (in whatever way), wouldn’t they feel I am a threat, that I am disrespectful towards their wish? Don’t get me wrong, I will help and have done so before. But I never know what the ultimate right thing to do is! Please feel free to delete my comment if it’s in any way out of order! Hi no this is not a stupid question this is a very very fair questions and I thank you so much for asking. Yes in away you will be interrupting their wish to take their life and be a threat. My best friend called me into the police earlier this year when she caught onto my suicidal threats and at that moment I was very upset at her for ruining my plans but in the end I thanked her for saving my life. I would encourage you to help that person because in the end you will play an instrumental role in their recovery and the reason why they are still alive. Never view yourself as a threat in this situation you are just trying to help and save them. That is totally fair and okay. Does that help? Yes it does, and thanks for the prompt reply! So, to put it simple: the wish to die is very strong but behind it is a wish to live? That’s what I am always wondering! Yes correct. But sometimes that wish to live may diminish in a very short time span when the suicide succeeds quickly. Right. Thanks for talking so openly about it. It helps me understand a lot of things a bit more! People usually don’t want to die. They just want the pain to stop. For many, including myself, it can seen as the only way to make it stop. Ask directly, support and listen. It helps tremendously knowing someone cares. Stay strong Phoenix! You’re a true inspiration! The fact that you recognize what is going on in your life is an important step. It allows you to understand that you are NOT alone. That there is support out there and people that understand and empathize with you. You understand that there are alternatives, that life can be fulfilling and that you do bring something into the lives of the people around you. Be proud of who you are. You accomplishments need not be measure in dollars or commercial successes. Take pride in the small things in life and the little joys you can find daily. Great post, especially about listening to people with depression instead of pushing them. One can’t force someone else out of a depressive episode – it has to end in its own time. I suppose for people who aren’t familiar with depression it’s the difference between holding out a hand to someone on a ledge and actively trying to grab that person. Best wishes to you, Phoenix. Your blog is inspiring 🙂 step by step it will get better. Phoenix, your post is brilliant as usual. My only quibble is with “mental illness.” I’m not an “expert,” but I have a BA in psychology and halfway toward an MSW in social work. I remember thinking during my education, “Where’s the magic wand they are going to give me so I can help these people.” I decided that “mental illnesses” were just haphazard clusters of “symptoms” that everyone experiences at one time or another. If you have enough symptoms of illness X, then you are labeled X. So mental illnesses are more “real” than others because the “symptoms” stand out so far from the norm. I think a lot of what we label mental illness is just people thrashing about to find ways to cope with having been abused, or having experienced life-altering tragedies, not getting proper childhood nurturing, dealing with medical or other physically disabling conditions, lack of a sustaining spirituality, or being constitutionally sensitive. I have written about my own suicide attempts, and for me personally, being threatened by someone to get me “help” was the most triggering experience of all, because I’d experienced unimaginable abuse at the hands of so-called professional helpers. And they really don’t have any magic wands. The best help for someone who is suicidal, in my book, is being hugged, being listened to and not judged, being loved, not being left alone. Nothing replaces being loved. I was gutted when I heard about Robin Williams. When I mentioned this to one “friend,” she said, “Suicide is such a selfish act.” NO IT’S NOT!! Only the person suffering knows the limits of what they can bare, and what real hope their life holds. What IS selfish is that such people DEMAND people live on despite their pain, even when realistic, unemotional evaluation shows their situation IS hopeless. I think of Christopher Reeve. Had I been in his shoes, I would have certainly taken my life. Reeve had the blessing of fortune and fame and most important, a family who loved and supported him. I have none of those things. I can barely endure my own situation, which is nothing compared to his, but I most certainly could not have endured quadriplegia without LOVE and support. I’m with you — I hate HATE the phrase “committed suicide.” Committed robbery, committed murder, committed adultery … all CHOICES. Suicide comes only where there is (or seems to be) no other viable choice available. Grrrr…. I agree with you for the most part but I want to add my two cents. First of all, you are young. I remember being your age which is when my depression was really intense. I would be offended, too, by those who suggested it wasn’t “real”. I’ve often said I wished people that didn’t think it was “real” should feel my pain for a few days. They would know it’s real enough then! However, just because something is real doesn’t mean it’s hopeless. I have learned over many years that while I might have always known why depression struck, there was still much I could do to keep it from getting worse. Medication is only good up to a point. It provides much needed salve on a gaping wound. But it’s not the “only” or the” total” answer. There is so much power in each of us to deal with this monster. I, too, attempted suicide once. It wasn’t the right way to solve anything and it’s not the right way for anyone else either. It was a choice, a very bad choice. It seemed like the only choice but it wasn’t. While some things happen TO us, most of the time the things that happen to us are because of our choices. I have a degree in Psychology and Hospital Chaplaincy so I’ve dealt with suicide and suicide attempts more than once. I’ve counseled with many and while support and empathy is what is needed at first, after a while the depressed person needs to be encouraged to change the way they respond to life, with or without medication.That’s what I did over fourteen years ago and I have been depression-free ever since. Some bad days, some bad weeks, but never clinical depression again. I hope Robin William’s death will encourage more discussion about “real” depression as opposed to what so many label as such when it’s nothing more than “thrashing about to find ways to cope” (well said, DogDharma). God bless and I hope 2015 is much better for you. Great post!! So well written. I can definitely relate. So.. just a few things.. I agree with dog dharma that its a continuum, but I disagree a little. Psychiatrists usually get involved once you can’t function anymore and the severity is what makes it the illness. Plus there have been reparenting studies (which were totally cruel in my opinion) for my condition, which is schizophrenia, which proved that it isn’t the parenting that is the problem in this type of condition. Likewise, I didn’t have traumatic events in my background or abuse to tell therapists about which was kind of awkward when therapists wanted me to “let out my secrets” My family had minor secrets.. they didn’t want people to know I was mentally ill or that my Dad was depressed.. but beyond that my parents really tried their best raising me and did a better job than my friend’s parents, who are still working. My condition (its still argued about among professionals, but what I believe) is a genetic predisposition, likely to manifest during a specific age range at a moment of stress (in my case a new job). I disagree a little on what I want from my friends when I am depressed and on what I hope people will do. I think a lot of people’s frustrations ARE that they feel that the don’t know the minds of mentally ill and hence just regard us all as “CRAZY” because they feel they can never know what we are thinking or what we feel like or what we are about to do, so they feel we aren’t reliable or safe to be around. I’d rather have them try to understand even though they aren’t there, than just decide they’ll never be able to relate to me, even if they are wrong sometimes. Kind of a backward compliment, because stigma is so strong and people think that mentally ill people are a certain way, my bible study group has decided that I’m not really sick and don’t need my therapy and should probably just be relying on God more. They haven’t mentioned giving up medications, but one of my friends from there feels (and I concur) that God has healed her from her bipolar disorder, so that would probably be next. Because they know and can relate to me, they think I’m not sick with the condition. I don’t know if it makes sense to you what I’m saying. I think that whether or not you get accepted at the University, you should maybe look into whether or not your state certifies peers. In my state it is an intensive 5 day course to be certified and licensed. Peers are people who self-identify as having a mental illness and work with other people who have the same, by doing light counseling, vocational placement (sometimes), or run group therapy and tool building sessions. I think you would be a natural if they are doing something similar in your area. istralouise, I think psychiatrists become involved when your behavior disrupts and troubles others. Schizophrenia, more than other “mental illnesses,” seems to have a biological basis, and hence is not due to parenting or abuse or other severe losses. But I still believe that parenting and other early life experiences play a part. Good parenting / experiences / support can make it better. Bad ones can make it worse. Thank you for openly agreeing and disagreeing with me and kudos. Keep on keeping on, and speaking YOUR truth! DogDharma: I read about a study of twins raised apart with different families and if one had schizophrenia there was a 70% chance that the other would have it as well. Obviously a genetic disorder but with unknown variables. It could be parenting or even environmental toxins for all we know that sets it off. I have read that pot use can up the risk some, although no one has said that is actually causes the disease. For the most part I think that pot should be legal, but that is the only thing that has me disturbed about it. However with both schizophrenia and bipolar disorder there are actual structural differences shown on brain scans. I can’t remember whether that applies to clinical depression too. I am not just talking about scans that show electrical activity, heat and blood flow, but actual structural differences, shrinkage of parts of the brain for example. There is one psychiatrist that has done this research and is actually using it for diagnostic purposes. I would like to see every doctor use this because what we have right now are subjective diagnoses based on what the patient says to the doctor. And when one is very ill it may be difficult to express herself which can and does lead to misdiagnosis. This would also have the effect of weeding out those people who have situational depression that does not respond to antidepressant meds anyway.They are over-prescribed and meds work no better than a placebo on mild depression. These people are better served by getting counseling. Unfortunately though brain scans are expensive so insurance probably won’t pay. But it seems like we need a better diagnostic system than we have now! I love you. And I pray everyday for you but I think, no I know you are going to make it, Sweetheart. The Love, the care, the patience, the time ,the information, the openness to get help others with this. And that is the key right there, Reach out to someone, anyone else to get them thru their monent & your moment dissipates as you do. Community, building a strong Community of Supporters. And its a falsehood that Someone going thru the same struggle cant help or shouldnt be asked too. They are the best ones to turn to but dont ignore the ones whose fight with it is more subtle, either. Its true, Watch out for the quiet ones, they hold it all in till one day theres no more room inside. I agree with you I used to the “quiet one” and suffered terribly on the inside and every word and emotion consume me on the inside. I am glad you are reaching out & not the quiet one anymore. 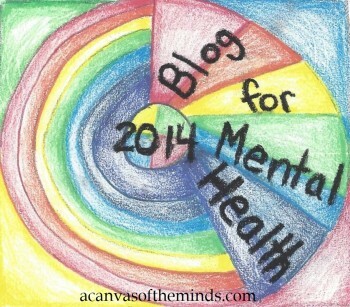 That is my wish & prayer for everyone with any form of mental illness. Find someone going thru it too & help them thru. Hang in there, kiddo. You’re doing great stuff & this blog site is just one of the ways you helping & making a positive difference. Thank you so much for the like and follow. I’m so glad I found your blog. I love what you write and how honest it is. I wish you all the best. Hope 2014 gets better for you. Thank you so much for the nomination I am so honored! Mary Rogers: I agree with most of what you wrote and we’re on the same page. The twin studies with regard to schizophrenia and bipolar illness in particular. Strongly suggestive of a genetic link. Or possibly some intrauterine connection, with environmental factors either exacerbating or ameliorating the severity. Keeping up with the latest scientific research is not really my forte, and I’ve not heard of brain differences being shown in cases of clinical depression, but would not be surprised. But even if true, I would tend to suspect that the brain differences are not causal of depression, but changes in the brain due to “brain plasticity” and the phenomenological experience of depression. I tend to believe that most depression, even severe depression, has more to do with trauma and difficult life experiences, and hence, environmental. In any case, brain scans (if they do show brain differences in people with depression) would verify that it was “real” and that some kind of help is needed. I know most studies show that antidepressants are not more effective than placebos and agree with than. Bipolar illness runs in my family to a huge degree, with one aunt and at least 4 cousins diagnosed with it, but I seem to have avoided that genetic hazard. My own direct experience has been with depression, severe at times, and anxiety. And I’m certain it comes from from loads of trauma and is really more a manifestation of what would be called Complex PTSD. At various times, I found antidepressants to be mildly helpful, even though I don’t really buy the neurotransmitter mumbo-jumbo. Too much is really unknown about how or why they work (to whatever extent they actually do work). It might come down to giving “brain plasticity” a nudge. But overall, I found antidepressants to be more harmful than helpful, and sometimes dangerous, with unpleasant side effects. Unfortunately, I’m more than a bit biased when it comes to therapy because I’ve had too many bad experiences with therapists. Therapy seems to come down more to compassion, validation, and truly active and concerned listening regardless of “technique.” Which is something you can get from a close and caring confidante if one is lucky enough to have such a person in their lives. That being said, now for the first time in my life, I seem to have found a therapist with true compassion and those mentioned traits, and so I’m keeping an open mind and trying to un-bias my bias. In the end, the base-line is love and compassion that is the missing ingredient, in my opinion. Getting rid of the stigma, and excessive labeling, and even for the ones that do seem to have a biological basis.